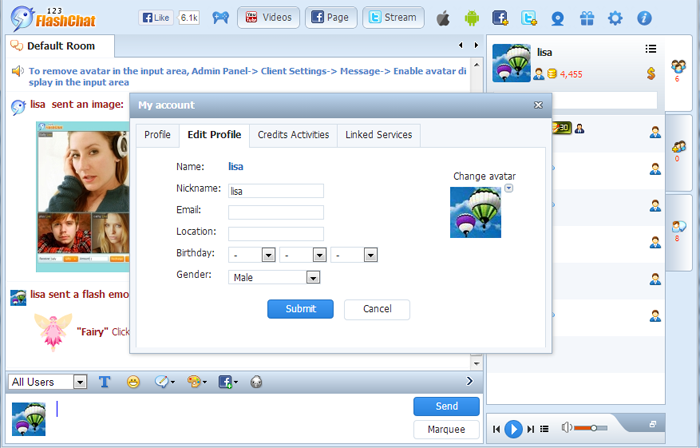 In 123 Flash Chat, a user may conveniently change his nickname when he wants to. If he needs to change his nickname, he may click on his avatar above user list, and enter his favorite nickname in Nickname field. To learn more about the feature, please click here.